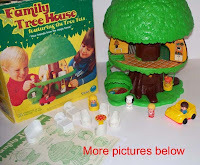 My niece and I are almost the same age (10 months apart, and our daughters are also 10 months apart), and when we were little, we played with the Kenner Tree Tops Tree House a lot. 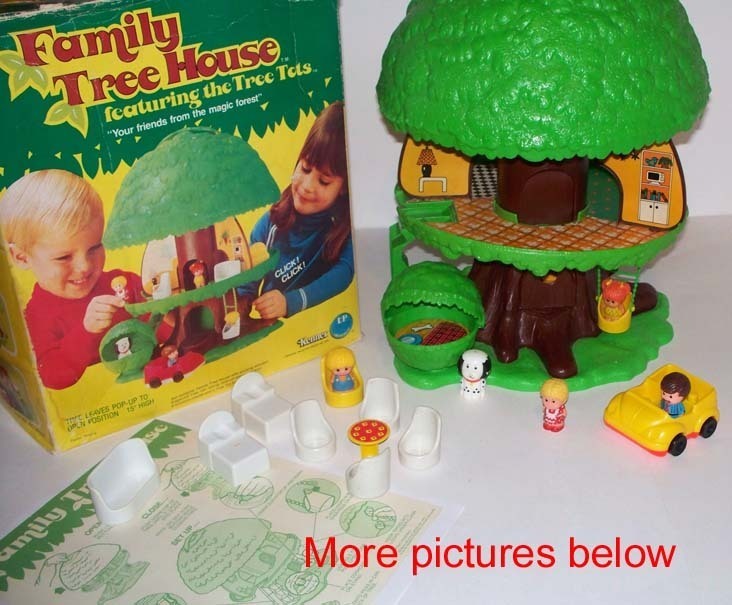 It had a rounded tree-shaped two-level house that you pulled open at the top, little people (not Weebles, though I always associate it with Weebles -- they had their own tree house) and best of all, a tiny bush that was the dog house! Thankfully, my sister kept hers, and now my niece and I can bring our kids over to play with the same exact toy we played with as kids. Did you have one? We had one of these. Loved it! I totally had one!! I haven't thought about it forever. My favorite was the bush that opened up and was the dog house. And I liked the elevator too.